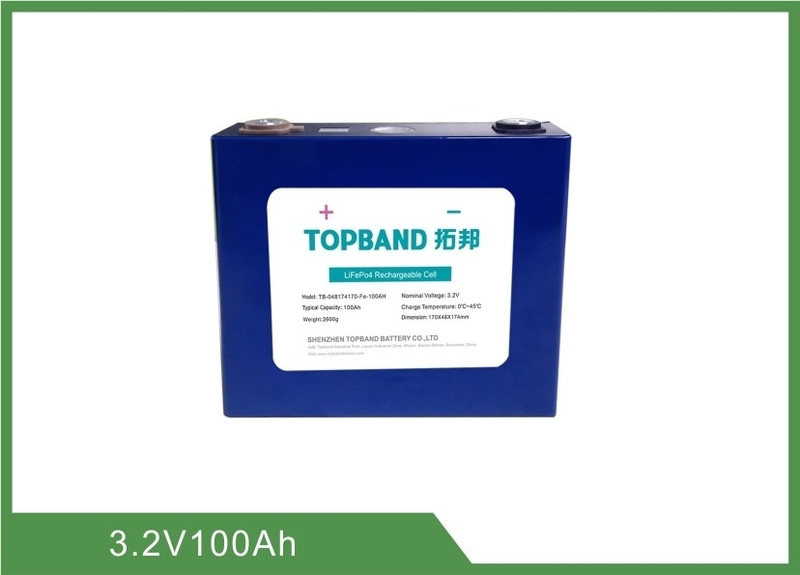 Topband Battery is a professional manufacturer focusing on developing, manufacturing, and providing high-quality Nano-LiFePO4 batteries. 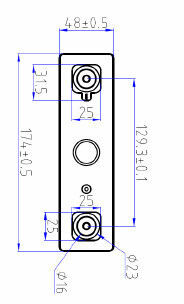 We are a wholly-owned subsidiary of Shenzhen Topband Co., Ltd, (stock code as 002139). 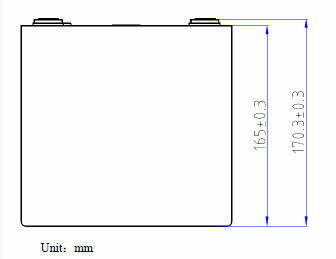 All tests are conducted at temperature 25±2℃, humidity was 15%~90%RH, atmospheric pressure at 80~106kPa.Unless there are other special instructions, all performance was tested with unused cells within 1 month after production date. 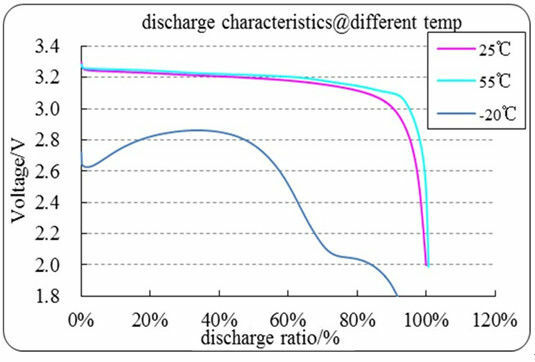 The "Standard Charge" means in an ambient temperature of 25±2℃, the cell was discharged with 1C constant current to cut-off voltage 2.0V, standing1hour. Then charged it with 1C constant current to 3.65V, then change into constant charge mode, until the charging current down to 0.05C, then stop charging and standing 1h. discharged to 2.0V with 1C constant current.After that,then place the cell in the ambient temperature of 25±2℃ for 4h then check its appearance. discharged to 1.8V with 1C constant current.After that, place it in the ambient temperature of 25±2℃ for 4h, then check its appearance. discharge to 2.0V with 1C constant current,stay for 1h. Charged to 3.65V with 2C constant current,stay for 1h. discharge to 2.0V with 1C constant current. then discharged to 2.0V with 1C constant current. 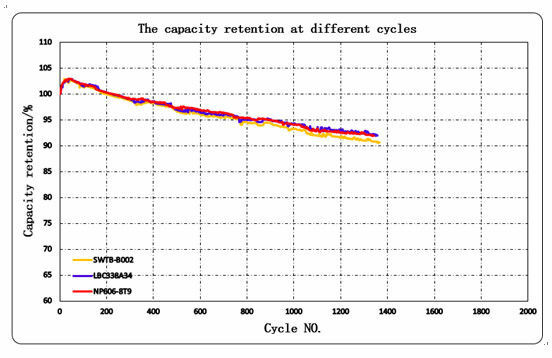 all the cycles until the retention capacity＜80%. The cell was charged in accordance with 4.2,and then repeat the following procedures for 5 cycles,then check the cell's appearance. The voltage is not less than 3.2V. frequency:40~80 times/min,impulse lasting time:16 min,shock times:1000±10 . 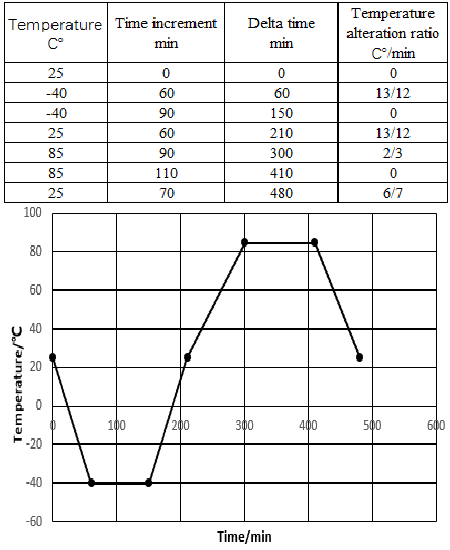 2. the voltage is not less than 3.2V. All below tests are carried out on the equipment with forced ventilation and explosion-proof device.Before test, all cells are charged in accordance with 4.2, and stored 24h prior to test. load of 5mΩ,then observe for 1h. 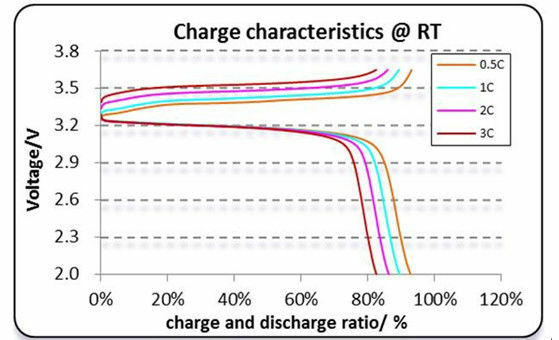 The cell was tested in accordance with 4.2, then 1C constant current charged till the voltage reaches 1.5 times of the specified end-off charge voltage, or the charge time reaches 1h, then stop charge, and observe for 1h. 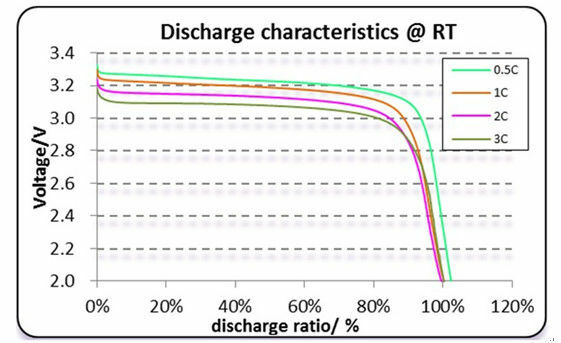 The cell was tested in accordance with 4.2, then 1C discharge for 90min, then observe for 1h. the cell, the distortion is allowed. per minute to 130±2℃ and remain for 30 min.